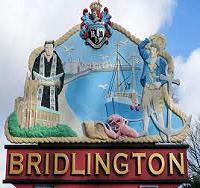 Bridlington & Driffield Freegle. Please don't pay any courier fees, they are only a scam. 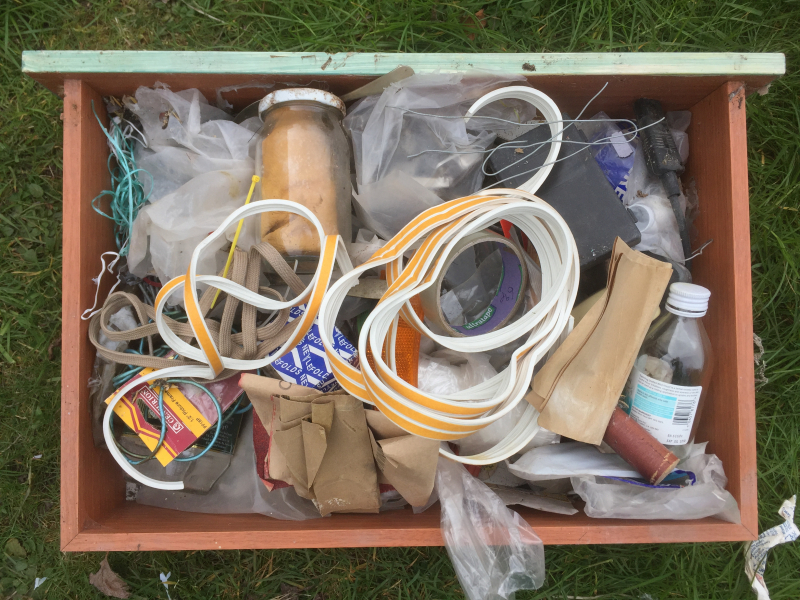 If you live in our group area (Bridlington, Driffield, Hornsea & inland villages) please join up and offer your reusable items to other members. Items must be legal, appropriate and gifted for free. No borrowing, swapping or selling. HP 364 ink cartridges for HP PhotoSmart 5510 5520 6520 B109 7510 6515 Deskjet 3070a Unopened but please note these are a few years old. As far as I know they don't have an expiry date but you will have to see for yourself as I no longer have the printer they go in. I have 2 x blue (cyan), 2 x magenta, 3 x yellow. HP940XL ink for HP OfficeJet Pro 8000 8500 A909n A909g I have got lots of this, still boxed but please note these are around 5 years old. As far as I know they don't have an expiry date but you will have to see for yourself as I no longer have the printer they go in. 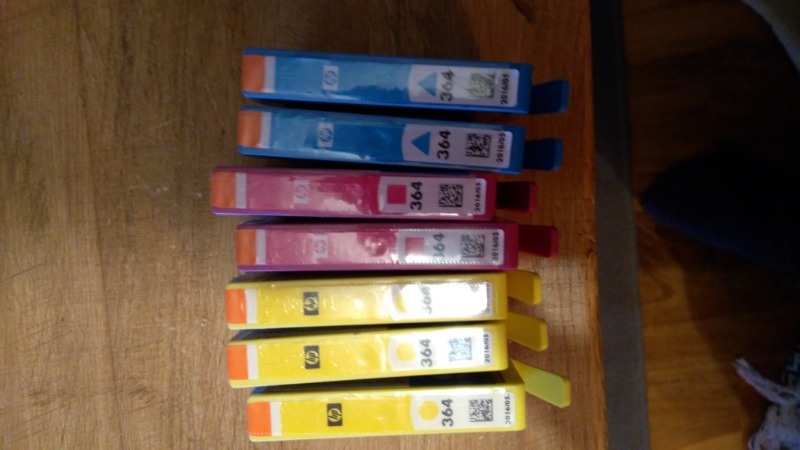 I have 9 x blue (cyan), 5 x magenta, 5 x yellow and 14 x black. Happy to split. 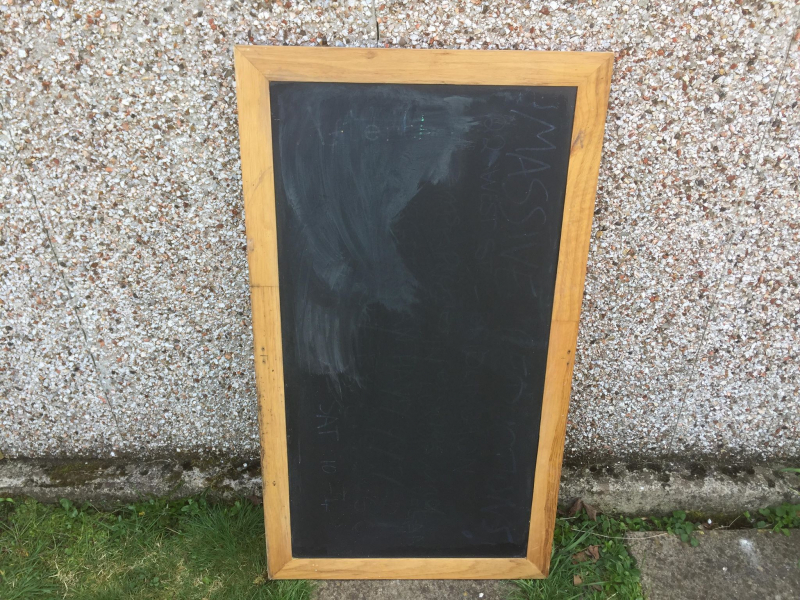 A relatively medium-sized blackboard/chalkboard (100cm x 55cm) with some wire on one side for hanging up if desired. 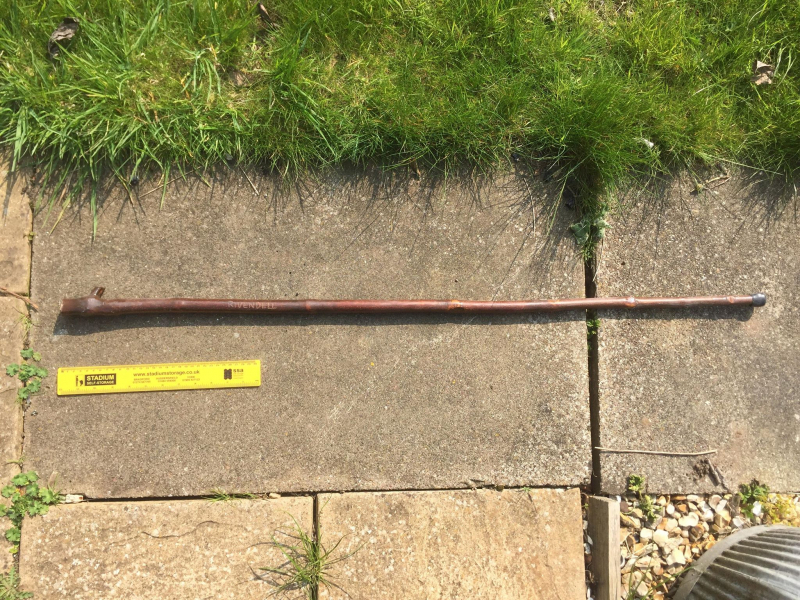 A wooden staff roughly 110cm in length, with a bit of rubber on the bottom so can be used as a walking stick. The top just has a bit of green foil in it, I think a fake jewel used to sit in the hollow bit but it's not there anymore. 'Rivendell' is carved into the side of the stick. 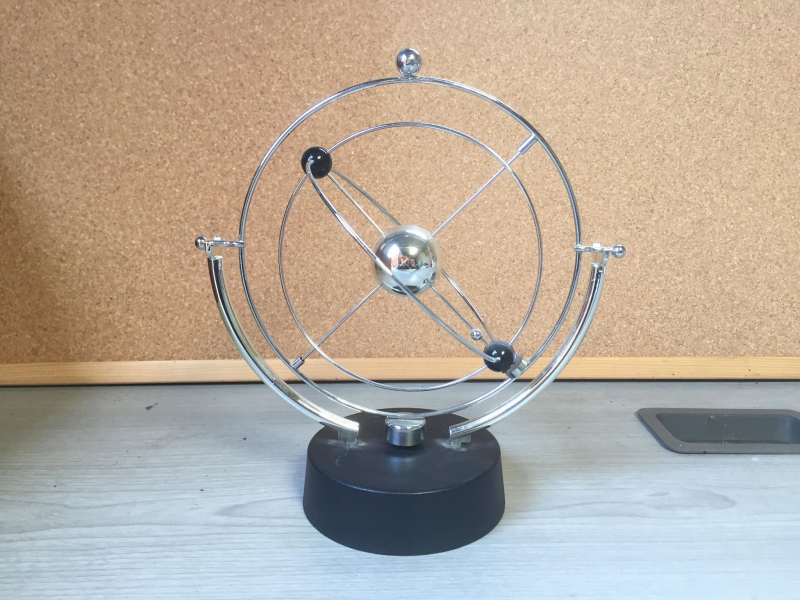 Kinetic orbital revolving perpetual motion desk art toy. The movement runs on an electromagnet in the base so requires a 9v battery to operate continuously. A few bumps and scrapes but is generally in good condition. 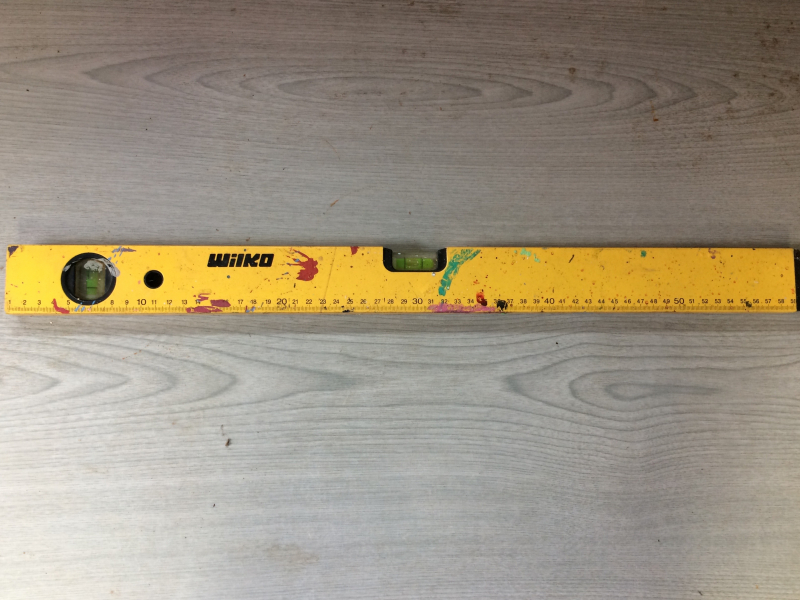 A Wilko spirit level. It's got a few paint marks on it as seen in the picture, but is perfectly functional. 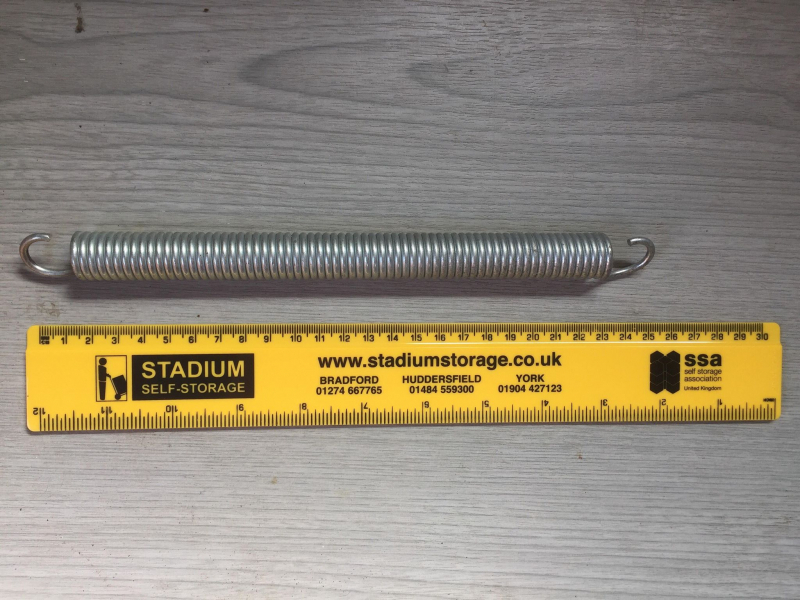 Just an metal spring I found in the garage and could be useful to someone. 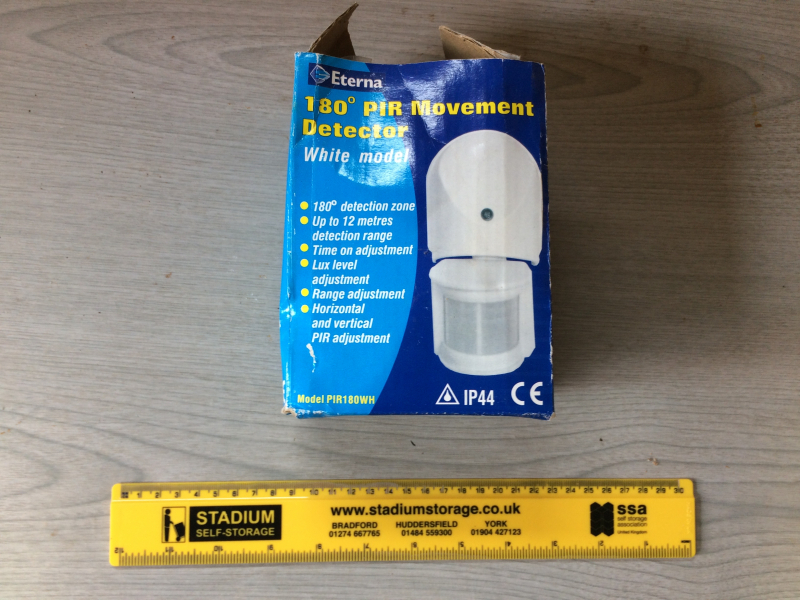 An Eterna 180º PIR movement detector for a security system. The box is a bit tatty but the contents are perfectly fine. 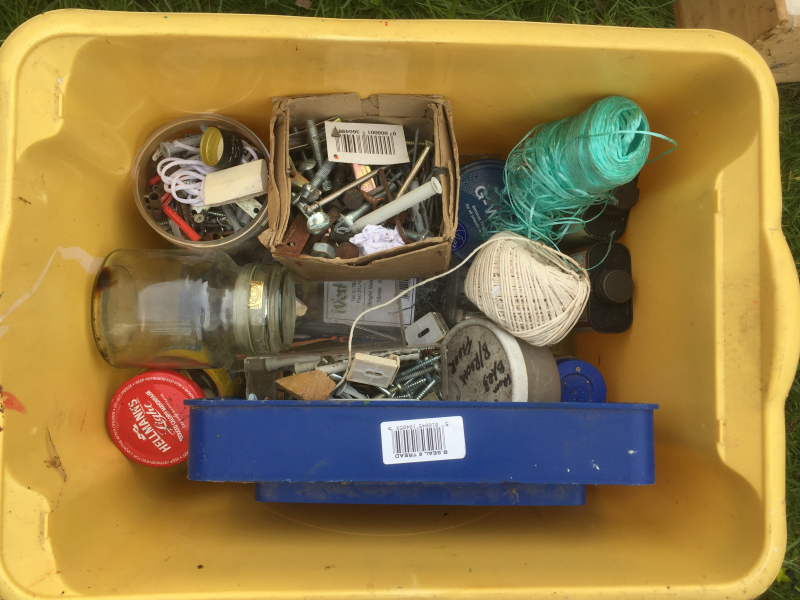 Some bits I found in the garage that is for a trampoline. 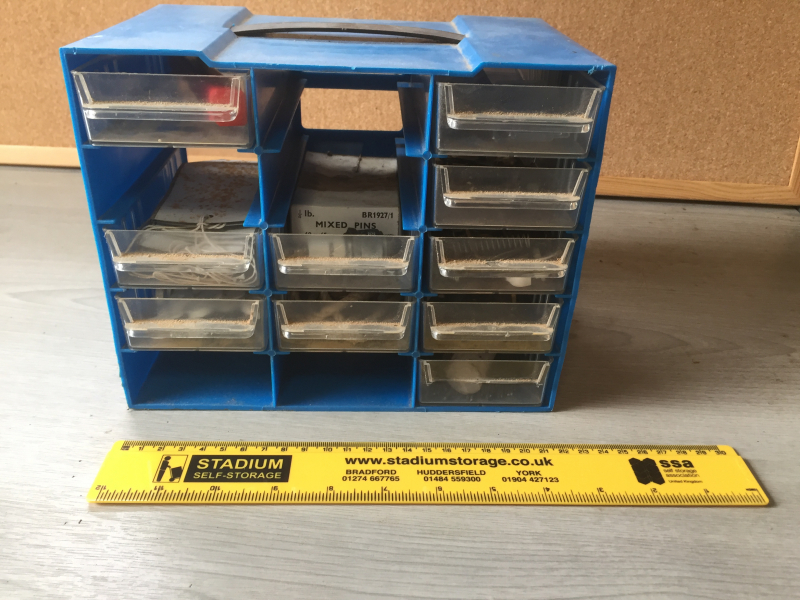 A small set of drawers I found in the garage with little bits and bobs in them like screws, pins, string, etc. What you see in the picture is what you get. 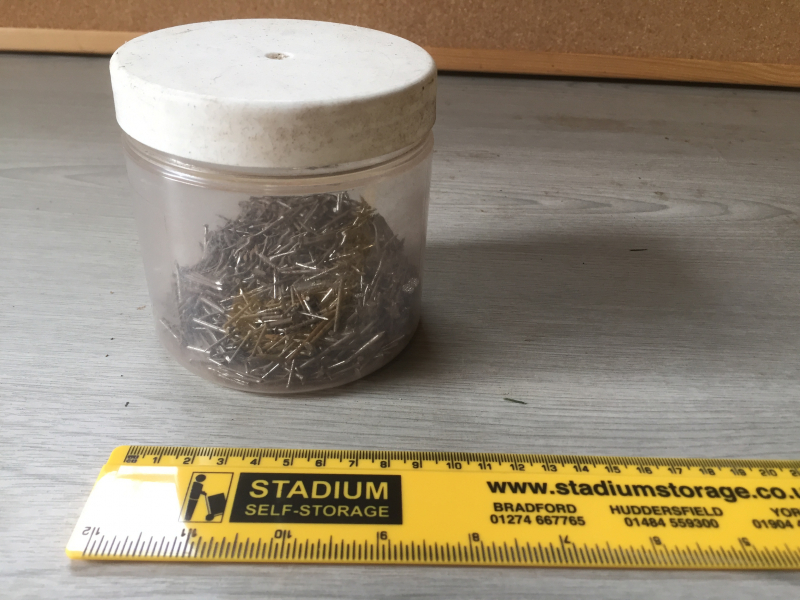 A small tub of screws, found in the garage and don't need them. 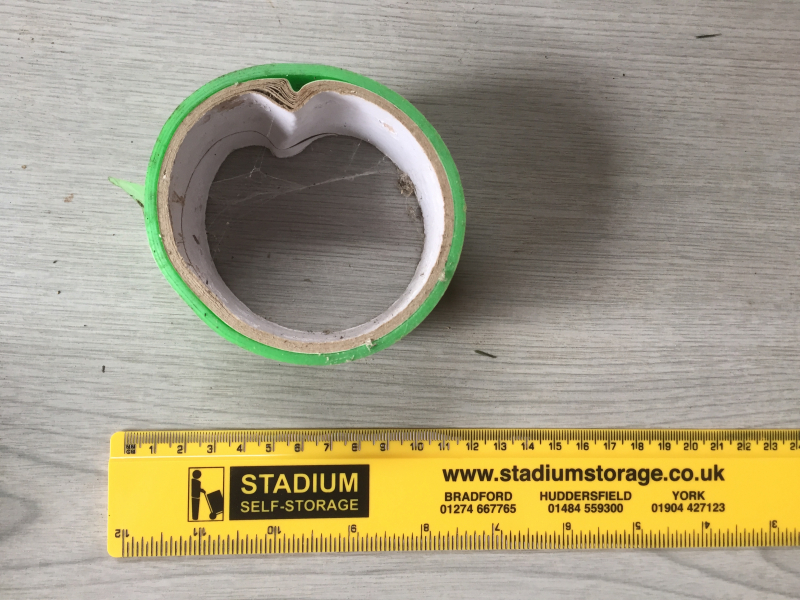 Two different types of tape, I'm not sure what they are. One seems to plastic and the other a mesh. 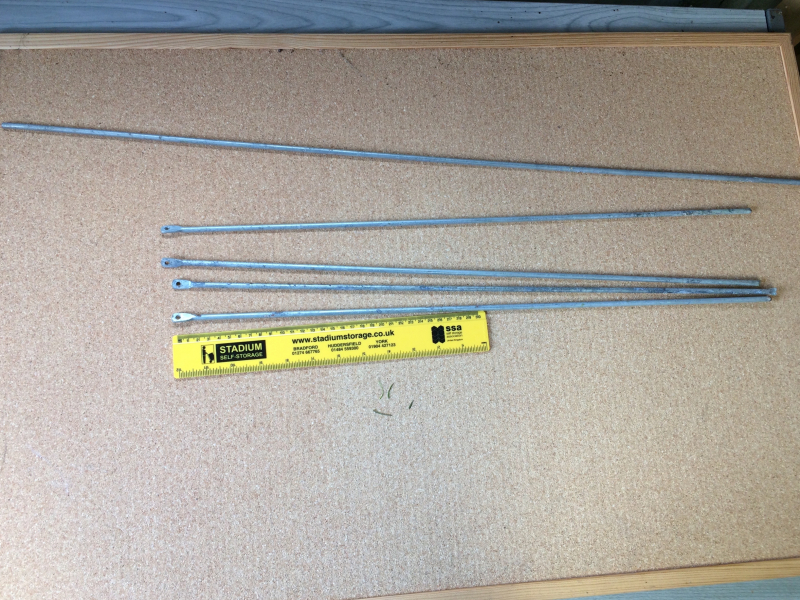 Some metal rods I found in the garage. I'm not sure what they're for, but if anyone wants them, they're welcome to them. An old drawer of things I found in the garage. There are bits of sandpaper and things like that. What you see in the picture is what you get. A box of things I found in the garage. 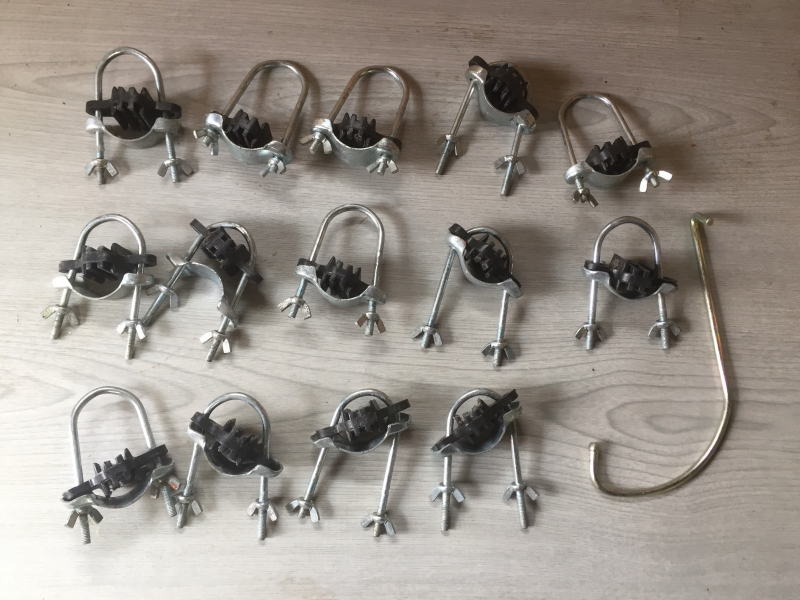 Different types of large screws, wax, string, etc. What you see in the picture is what you get. 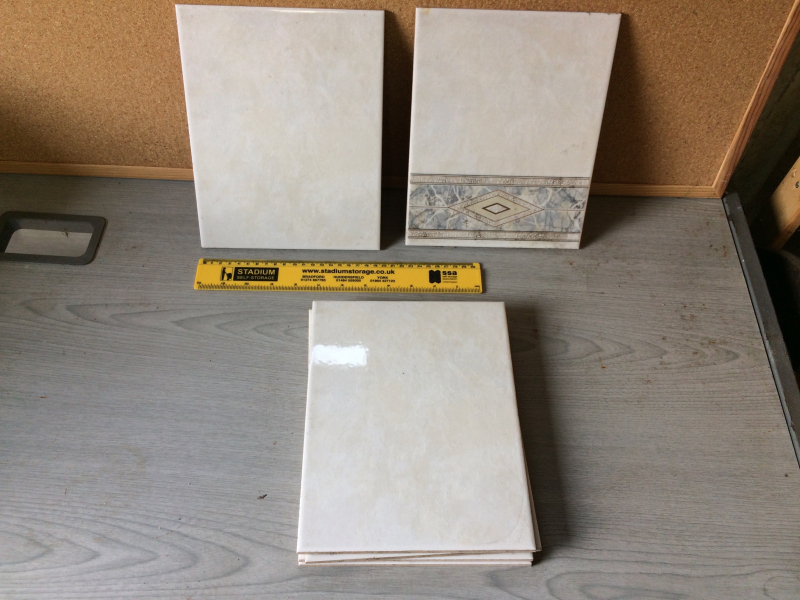 K5 ceramic tiles 25cmx20cm. 5 plain tiles & 1 with a pattern. 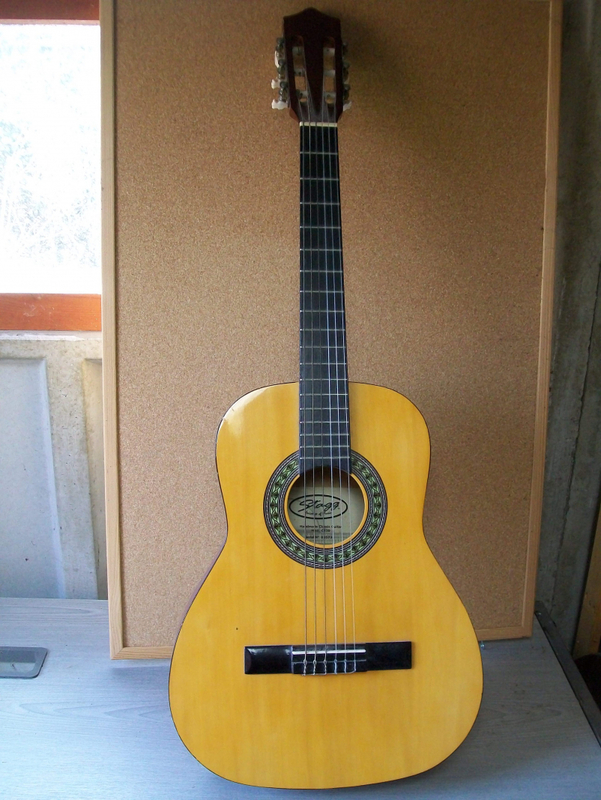 Stagg acoustic guitar that may be good for learners as I think it's a 3/4 size. One of the photos has a ruler next to it for size comparison. It's in reasonable condition, although it has a few very minor bumps and scrapes. 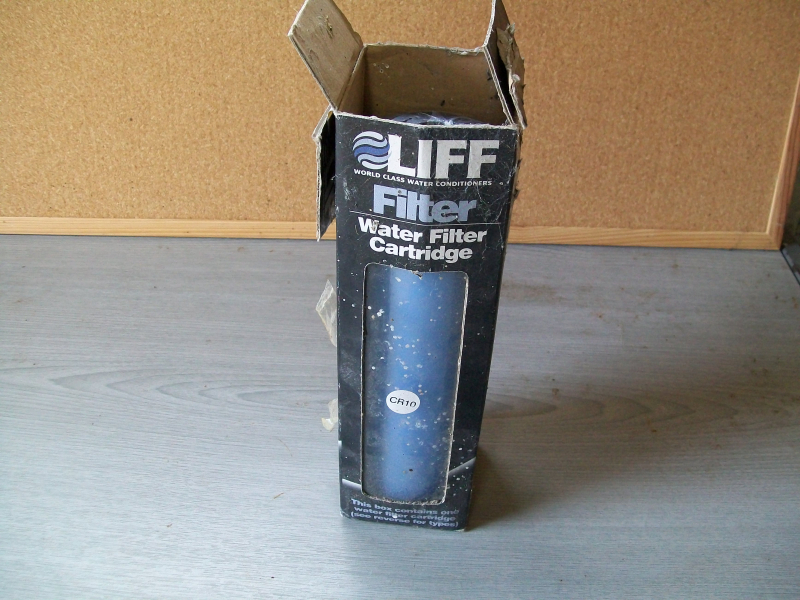 Liff water filter cartridge - Box pretty tatty but contents are perfectly fine and sealed. 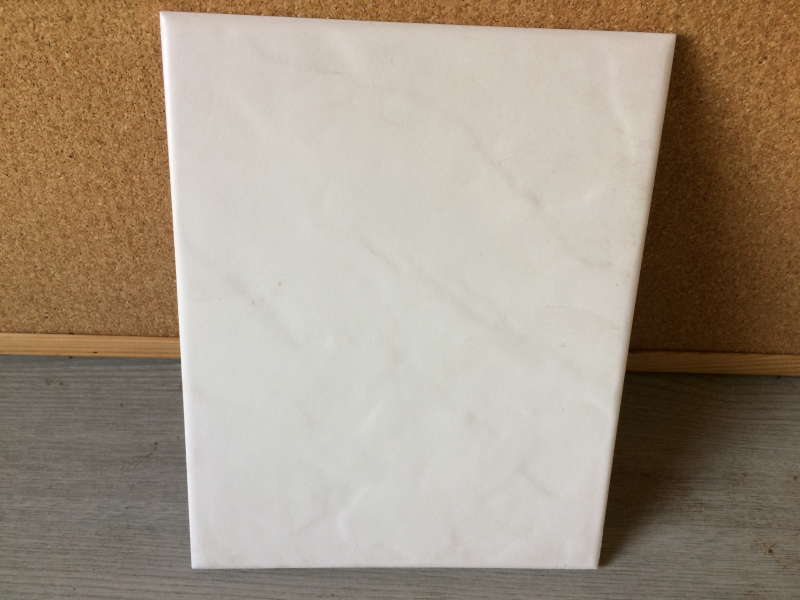 Kai plain ceramic tiles 15cmx15cm. There are 59 tiles in total. 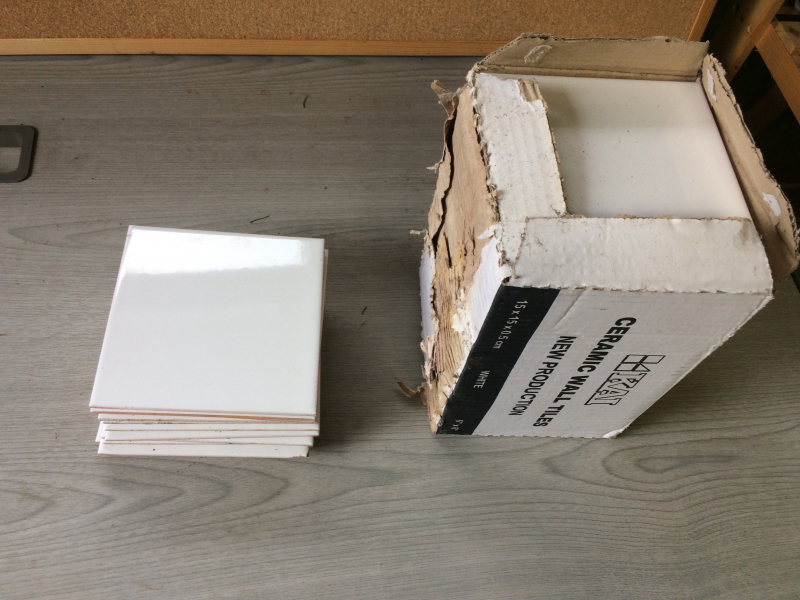 26 plain Pilkington ceramic tiles 10cmx10cm. 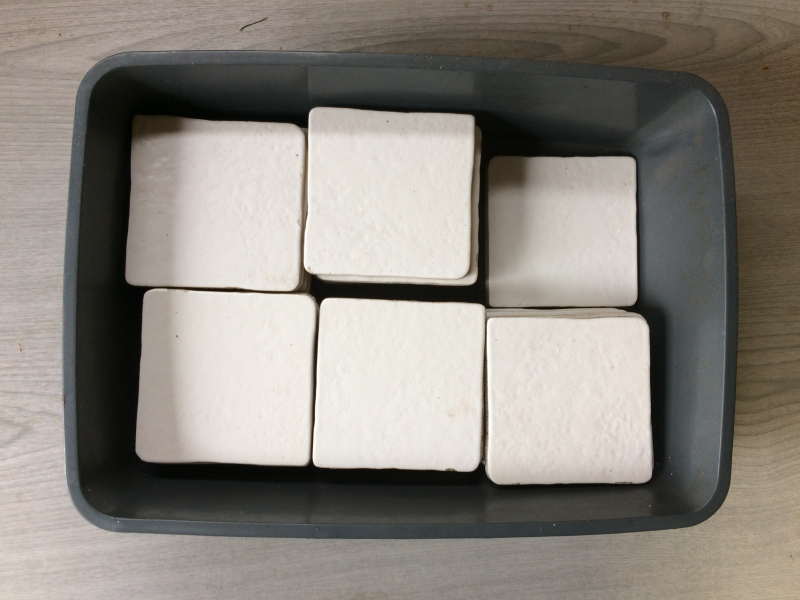 11 plain Pilkington glazed ceramic tiles 25cmx20cm (1 is slightly damaged). 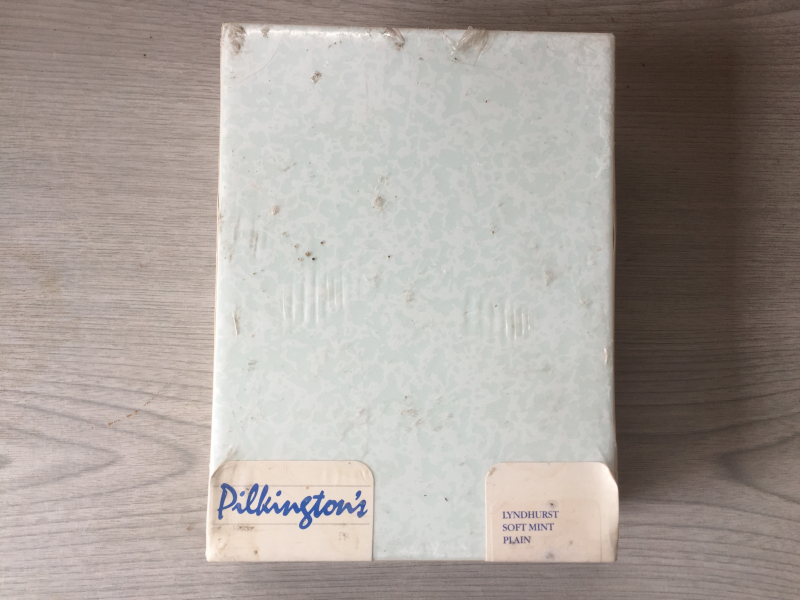 22 Pilkingtons Mint (green) ceramic tiles 20x15cm. 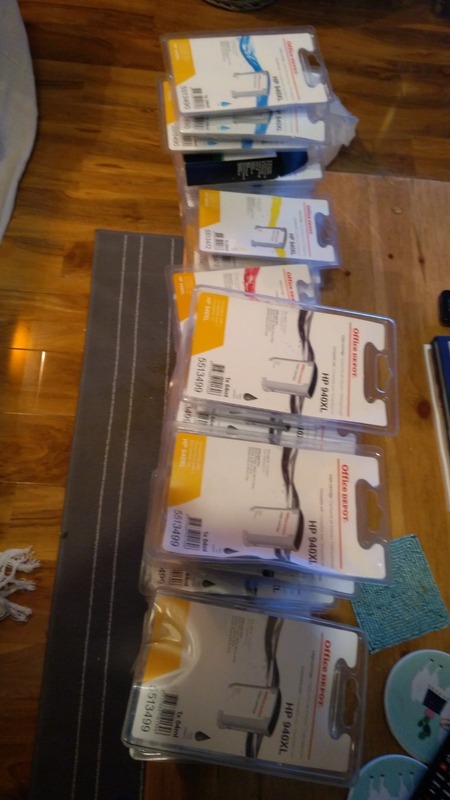 10 of them still sealed.